An Italian priest has been wounded by gunmen in Bangladesh, the latest in a wave of attacks on foreigners there. Only weeks before, an Italian citizen working with a development organisation was shot in Dhaka’s diplomatic zone – one of the most heavily guarded places in the country. A few days later, a Japanese citizen was murdered in northern Bangladesh in a similar style. The motives for these murders are not yet clear, but political leaders have rushed to suggest who could be behind these killings without presenting any credible and concrete evidence. Another spin-off of these events is to create an atmosphere of panic, which has been greatly heightened by Islamic State (IS) apparently claiming responsibilityfor these incidents – including the bombing of a Shia procession on 24 October 2015. Initially, the government of Bangladesh denied it was aware of any such threats, but it soon transpired that some foreign consulates did actually inform the government about credible risk against Western citizens in the country. 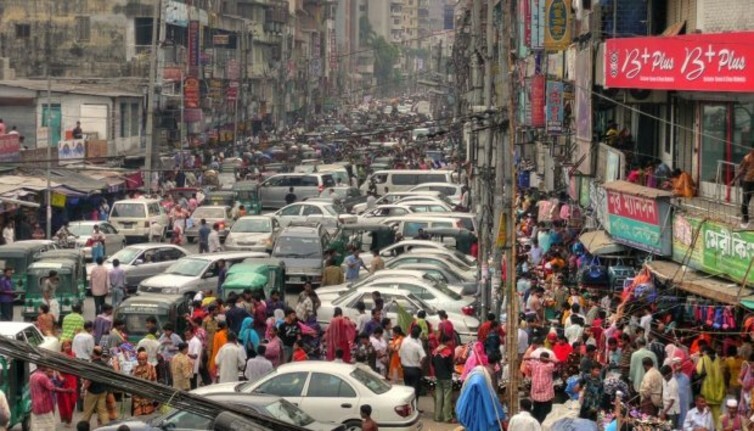 Broadly speaking, security is a major issue in Bangladesh, with several murders reported in the national newspapers every day. Many of these murders are taking place because of political rivalries, extortion, and everyday quarrels – and alarmingly, a great many of them never see anyone brought to justice. In 2012, a journalist couple were murdered in their bedroom, and the murder of an innocent man by the student wing of the ruling party was captured on live television. In 2013, a young student was said to have been murdered by the relatives of influential members of the ruling party. Then 2014 saw the sensational “seven murder” case. Members of the country’s special elite forces were apparently involved, allegedly taking a bribe from the mastermind of the incident. Some of the violence has been religious, too: in the last two years, a number of secularist bloggers have been killed by Islamist extremists. And in the meantime, no-one has yet been brought to justice for the 2013 disaster at Rana Plaza in which over 1250 workers died. As is all too common in Bangladesh, the investigations into most of these cases are still dragging on after an agonisingly long time. The failure to secure justice for these incidents and thousands more like them creates a sense of lawlessness, where local gangs, muggers, and terrorist groups feel that with strong political patronage and power it is possible to get away with serious crimes, including murder. This has all hardly flattered Bangladesh’s image, and the consequences have already been humiliating in many ways. In autumn 2015, Cricket Australia (CA) cancelled a scheduled tour in Bangladesh citing credible threats by militant groups against Westerners. The CA raised the security concern and delayed the team’s departure while working on a “revised security plan” with the Bangladesh Cricket Board and top level Bangladeshi security forces. The safety of our players and officials is our highest priority. We had hoped the security concerns would fade, but unfortunately the advice we have received from government, our own security experts and independent security advisors has clearly indicated that there are now high risks to our people should they make the trip. Soon after, the South African Women’s cricket team cancelled their Bangladesh tour too, and a number of foreign textile buyers and research teams have also written off their planned visits. Most of the Western embassies have warned their citizens to be careful. Paradoxically, this is nothing less than blowback from years of cynical propaganda on the part of Bangladesh’s leaders, who deliberately maintain this culture of impunity and denial. They have also used brazen fearmongering to score political support from the rest of the world. Let’s not forget that the present government’s mandate is questionable in the eyes of many; at the last election more than half of its MPs were elected unopposed, and only a reported 5% of voters turned out. And yet its senior figures maintain that their government has to remain in power to stop ill-defined “militants” overrunning the country. The unresolved murders of foreign citizens have simply given them more fodder for this self-serving rhetoric, even though what they most clearly demonstrate is the impotence of Bangladesh’s law enforcement agencies. And on October 24, amid the heightened tension and ramped-up security, a Shiite procession was bombed, with two people killed and over a hundred injured – even after national newspapers published stories saying the government had in fact predicted just such an event. 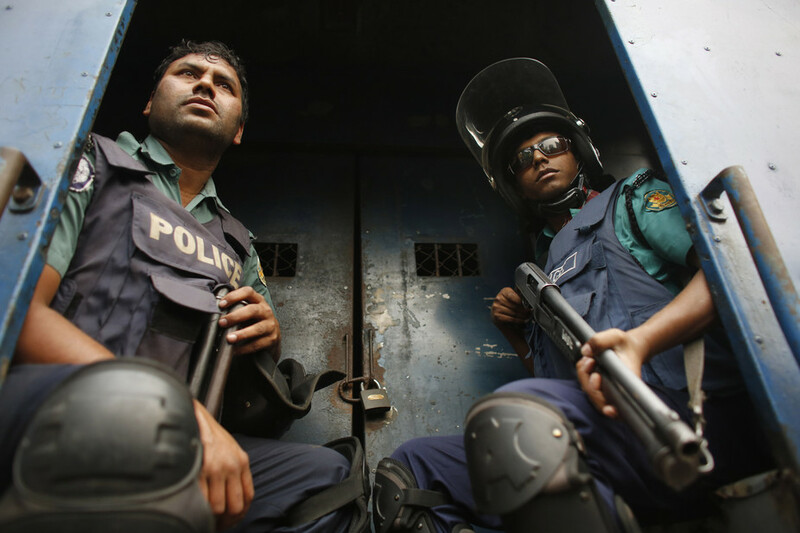 There are, of course, a range of groups in Bangladesh espousing violent fundamentalist ideologies, and over the years, scores of people have been arrested for militant activities – including suspected members of IS and al-Qaeda. But the state has never been able to prove that a genuine offshoot of IS or al-Qaeda is actually operating in Bangladesh. Nonetheless, the government’s fearmongering seems to be serving it well, and its complacency has become a self-fulfilling prophecy. This sense of lawlessness, coupled with a tense political environment in which governing and dissenting parties both resort to violence, means that Bangladesh is becoming a highly conducive environment for radical terrorism. Superficially reinforced security and policing is all very well, but if the law and order situation does not improve and exploitation of a culture of fear continues, Bangladesh might become a story of the boy who cried wolf. This entry was posted in Uncategorized and tagged Bangladesh, Corruption, Islamic State, Violence. Bookmark the permalink.